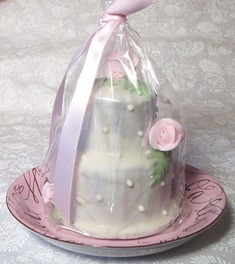 Our Mini Cakes are an exclusive product of ours. A signature line of products with many years of development and perfection. Featured in Instyle Magazine, brides.com and many other publications, our mini cakes add that special touch to your event. This affordable elegant favor will leave a lasting impression. Send as a gift to a friend, colleague or customer. Our cake pop line is adorable and continues to grow as this unique mini cake idea catches on. Visit our adorable cake pop page they make great gifts and favors.